The first picture is of the official opening of the new recreational block for the residents at the Searchlight on the 10th May 1958. The second picture is again at the Searchlight buildings but do you know the occasion and when it was taken? Can you put a name to anybody in the pictures? 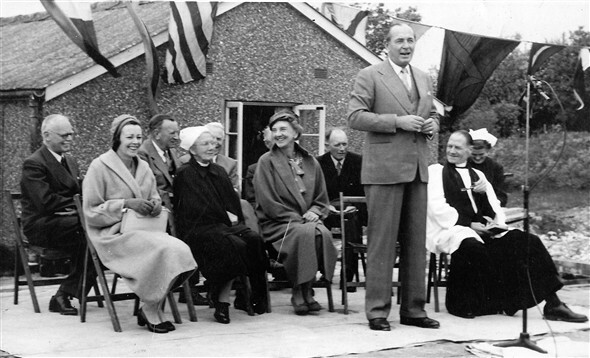 Opening of new recreational block 10/5/1958. This page was added by John Hills on 21/01/2018. 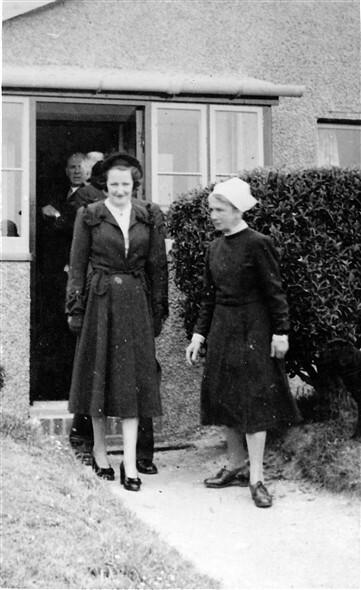 The lady in the nurse's uniform must be Sister Powell, founder of the Searchlight Workshops, but the only face I recognise is Mr. Stan Bennett (Oxley & Bennett), seated behind the speaker.